If a picture paints a thousand words, then the paintings carefully articulated by Mr. Peng Hon Ling (Genlin) would surely resonate with our hearts and souls, and which potentially can save thousands of lives. One of Genlin’s paintings, “What’s on Our Plate?”, with the controversial motif of dog meat eating has ignited an outrage across Britain. 100,000 signatures have already been gathered on an online petition following the revealing of the painting against the existing dog meat eating practice in South Korea. Due to the overwhelming pressure gathered by the British public and the denizens of the Internet, the British Government has been persuaded to pursue a formal meeting with South Korean officials regarding the whole situation. 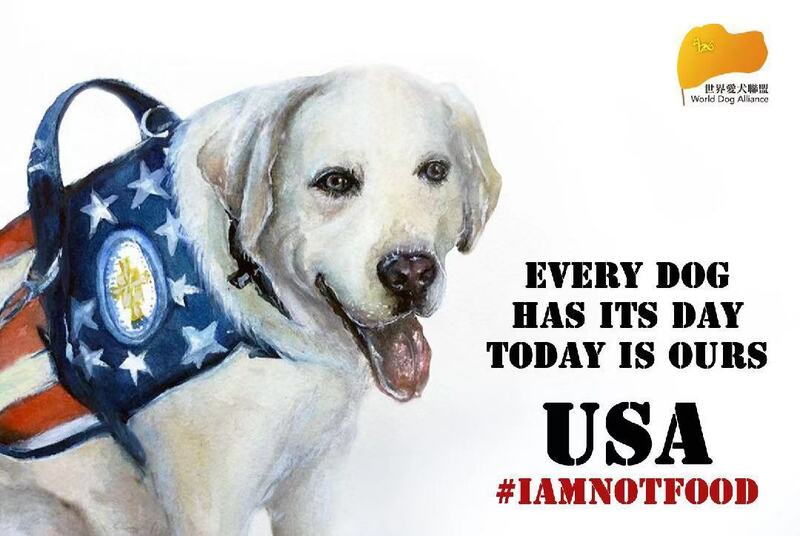 Furthermore, South Korean Animal Protection Organizations are making preparations to parade Genlin’s artwork “What’s on Our Plate?” as the poster child of the movement against dog meat eating and trading. 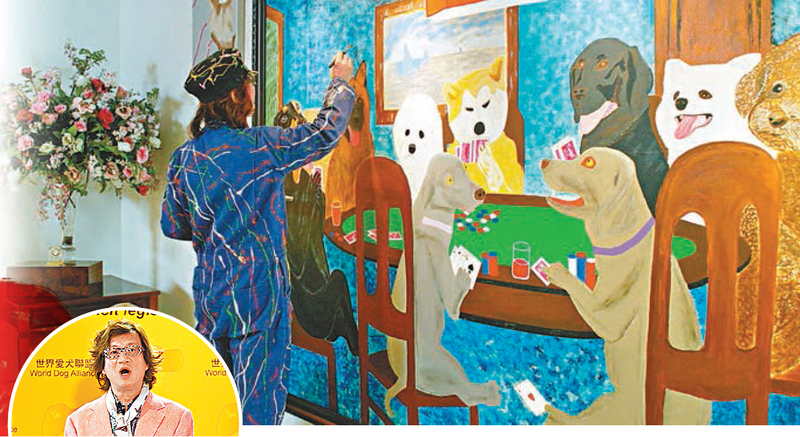 The themed gallery, held during the ‘926 Dog Lovers’ Day’, hails a total of 31 huge oil paintings created by Mr. Pen Genlin. It spans across an enormous space of 120m2 and is at present in the process of verification by the Guinness World Record agencies for its respective category. 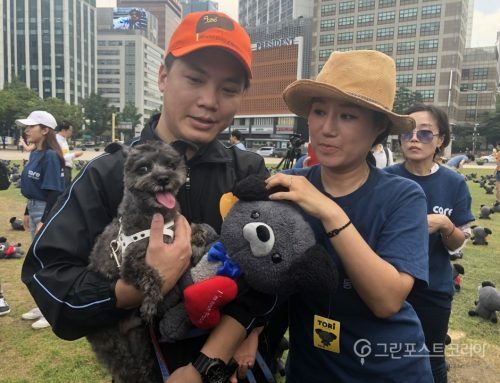 ‘926 Dog Lovers’ Day’ is a tribute not only to every animal that is suffering from inhumane activities but also to every animal activist who is fighting for the good cause, more than 50 animal rights representatives from China, Taiwan, and Hong Kong attended the event. Ms. Wang Yu Min, a member of the Taiwan legislative council who has successfully helped realize the legislation of ‘Banning Dog meat Eating’ in Taiwan, has been invited as the guest of honor of the event held in Hong Kong this year. How Can One Possibly Eat One’s Own ‘Furry Child’? One of the paintings, “What’s on Our Plate?”, has roused international attention over the controversy of the dog meat industry in South Korea as the 2018 Winter Olympics looms. 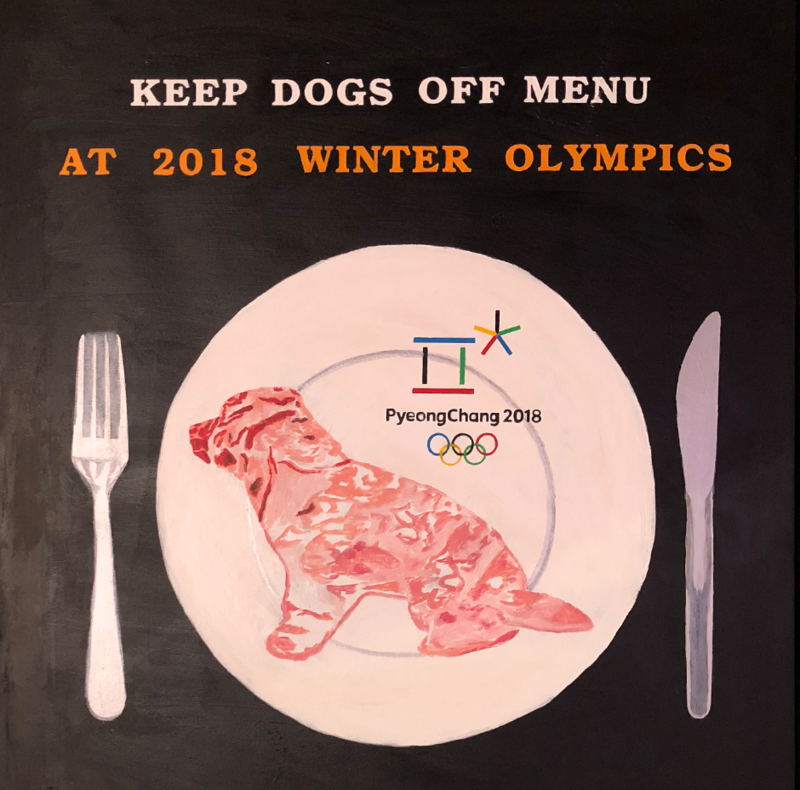 It depicts a caricature of a dog with raw flesh on a golden platter which is juxtaposed with the accompanying silverware and the 2018 South Korean Winter Olympics Logo. Genlin started painting only four years ago and is considered highly gifted by his art teacher. His flair for artistry, especially in painting, is remarkable. His attention to detail, contrast, lighting and composition is apparent. These skills may well be attributed to his past experiences as an amateur photographer for ten years. 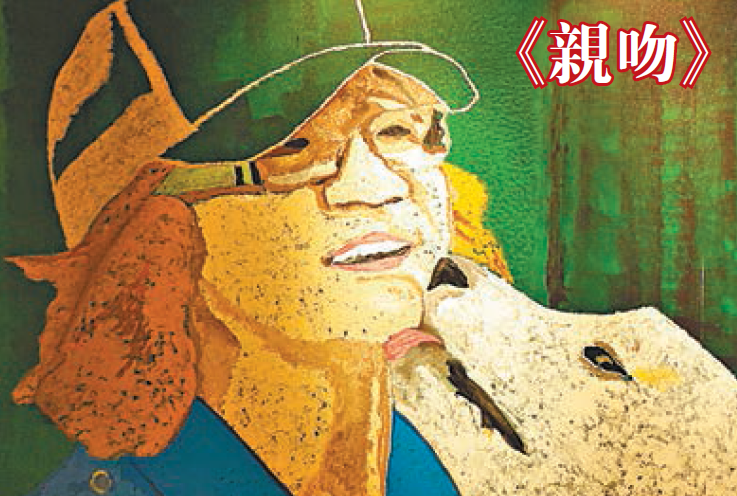 Genlin’s paintings are able to capture the sentiment and pain of suffering dogs. They are so moving and well composed that the Shanghai University’s Art Faculty has invited Genlin to be a guest art professor. 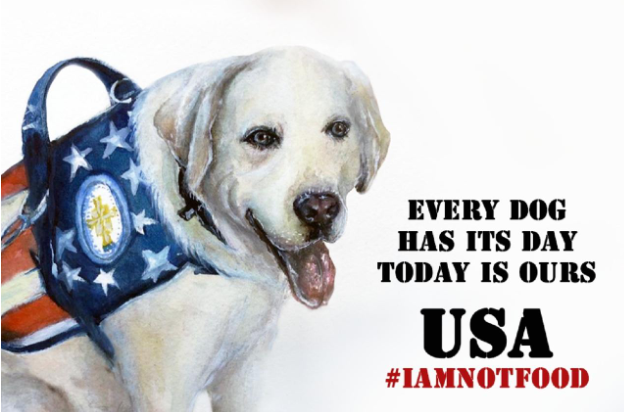 He paints for all the dogs in the world that are being maltreated, abandoned or dognapped. Be it an effort to ban the dog meat trade or any other nefarious abuses, each painting is a voice for every animal friend. In particular, his choice of medium (oil paint) vividly allows him to uncover the violence of how the dogs were maimed, caged and ultimately murdered. 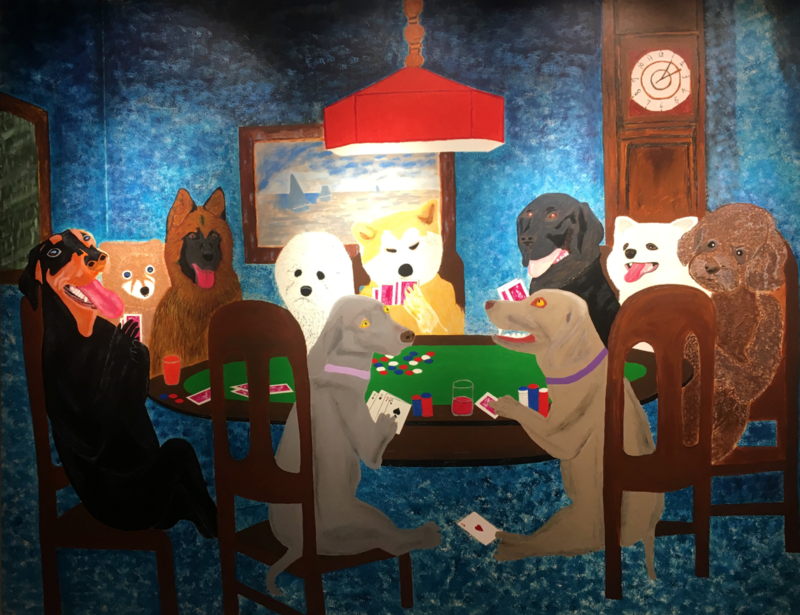 His paintings accurately encapsulate the moments of despair, disappointment and most of all, betrayal felt by each furry child towards its ‘parent’. “With my paint brush, I am calling all animal lovers to join hands with me to acknowledge a dog’s worth in a humane society. I am also appealing to my fellow men’s conscience and humanity for the sake of these dogs. I sincerely hope that those who eat dogs would give up such barbaric act and end the dog meat trade in various corners of Asian countries, once and for all,” Genlin reiterates. As an experienced investor, entrepreneur, and the founder of the World Dog Alliance (WDA), the success of Genlin’s businesses has enabled him to launch his campaigns against the dog meat trade. This also provides him the time to concentrate on developing his art and to focus on how he can express his philosophy through them. 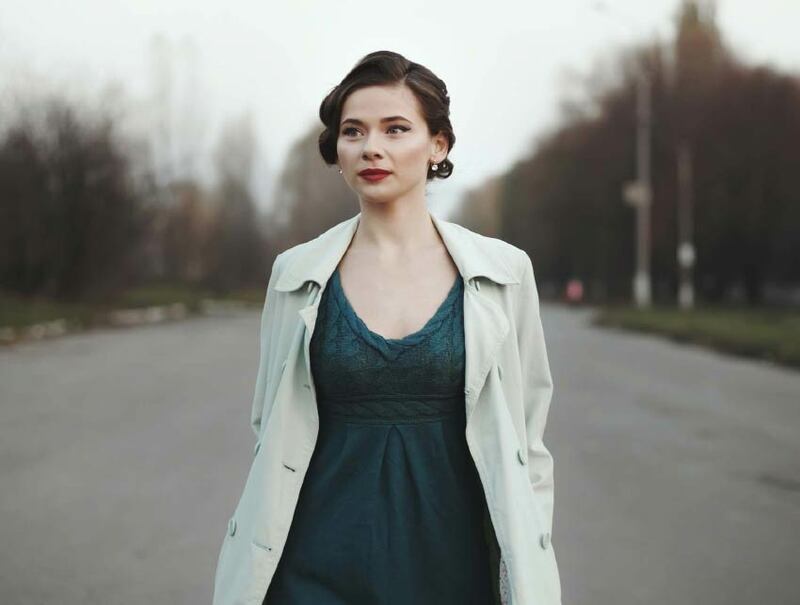 He does not have to be concerned with making a career out of it, or other financial burdens that commonly plague budding artists. 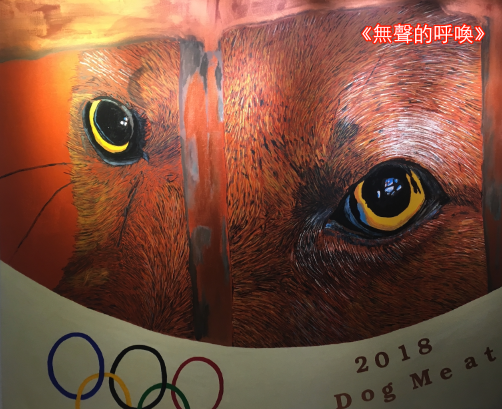 Genlin remarks, “There are good people and bad people, but no bad dogs.” This gallery’s biggest controversial paintings are the two that feature the 2018 South Korean Olympic logos in contrast with the sensitive themes. One of the two paintings, “The Silent Calling” (2.40 x 2.00 m), depicts the mournful look of a dog before its impending doom to be slaughtered for the next customer to come. The painting zooms the facial features of the dog, carefully capturing the delicate eyes that are filled with dread and sadness. Animal activists will be using “The Silent Calling” on their affiches during their scheduled animal protection and rights parade in the 2018 Winter Olympics. The ultimate aim is to generate awareness in the world of the ongoing, and not commonly known, dog meat trade in rural South Korea. The 926 gallery is divided into two categories, like a binary structured piece of music, where the first contrasts the second but at the same time work together to create an overall and encapsulating experience. 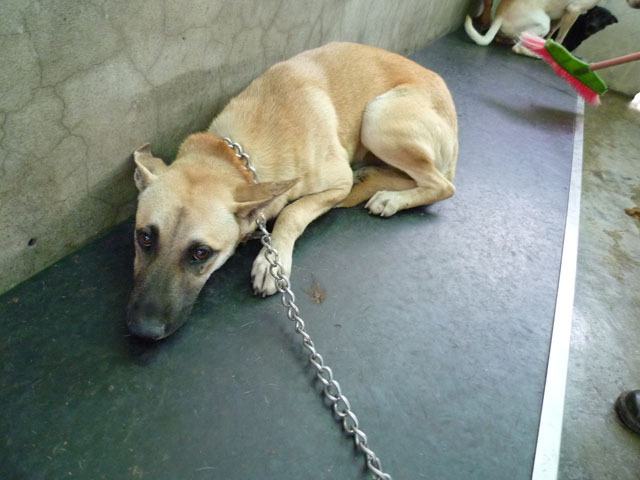 The first category illustrates the cruelty of man’s maltreatment towards dogs; the uncivilized practice of dog meat eating and the betrayal of dog’s trust placed upon mankind. The second category is, on the other hand, a dramatic juxtaposition of the first as it provides a kind and compassionate narrative between the relationship of man and dog. 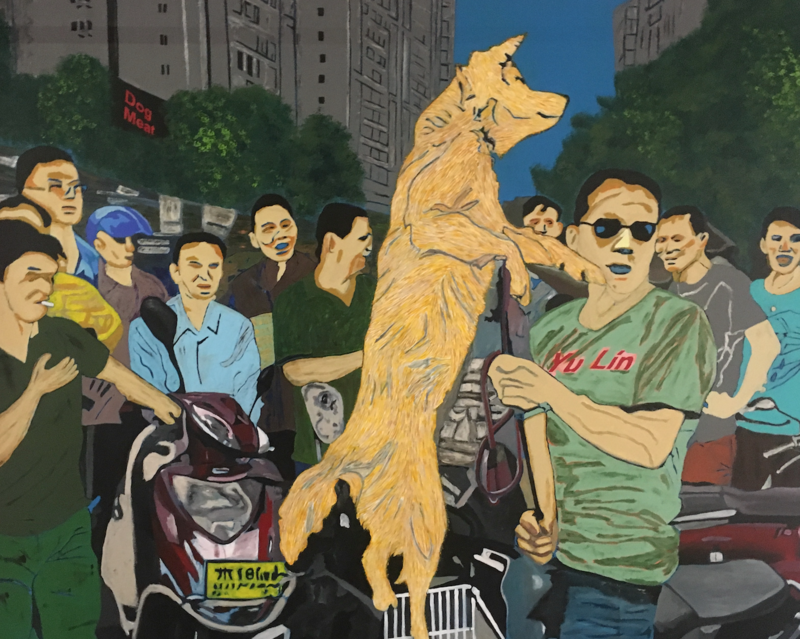 “The Devil’s Bargain” (2.45 x 3m) is a painting recounting the horrifying memory during the notorious Dog Meat Festival of Yulin. A dog meat trader used a long pole, resembling a Sasumata, dangled a puppy until they let off a blood curdling shriek for a higher bargain. This ultimately tied the hands of the animal activists on site to the nefarious trader’s bidding. Slowly but surely draining their wallets, they would sacrifice all they have to save the innocent dogs. While the sympathetic onlookers are on the verge of breaking down emotionally and physically, the traders enjoyed every bit of it, as they smirked at the easy money they were making on the day of the festival. Another painting “The Souls of Yulin” (1.2 x 0.88m), features a dog crying right next to a heap of dead bodies that have fallen prey to Yulin’s sadistic practices. On ‘926 Dog Lover’s Day’, Genlin states, “The job of advocating against the dog meat trade is a task without an end. It pains my heart greatly whenever I see or hear an incident related to any kind of cruelty against dogs. It feels as if I’m trapped in an eternal living hell. I will not falter nor will I ever concede to this barbarism simply because this is too much to bear”. 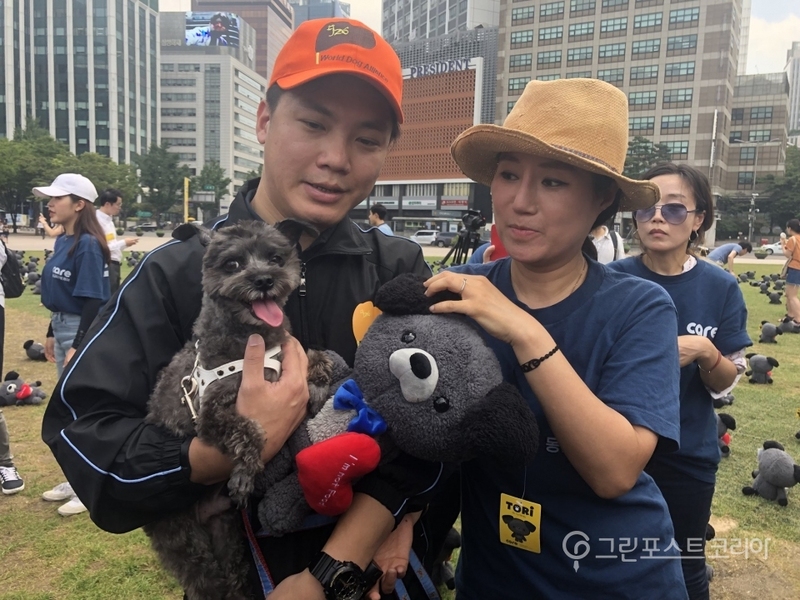 World Dog Alliance has been established for more than three years and Genlin has spent 6 million USD (approximately 47 million HKD) on his missions to save dogs. Most of the money goes into advertizing and promotions for raising the awareness and informing the public of the ongoing dog meat trade. 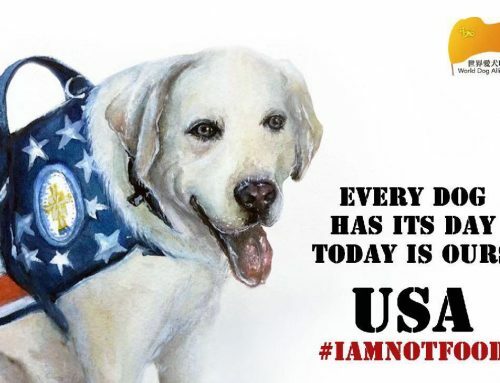 A good portion of the money is also used to reward other organizations or distinguished individuals whose efforts are invaluable to the protection of dogs across the world. All along, WDA has supported various dog saving events in countries like USA, UK, Italy, HK and Taiwan. Genlin has also hosted similar 926 events in these countries. Golden Dog Awards, certificates and prize money were given to animal activists and groups. Three notable financial contributions made by the WDA are: setting up an animal hospital in Thailand; building an animal shelter in Bao Ji China; and establishing the “Animal Guardians” in Taiwan to assist on law enforcement. 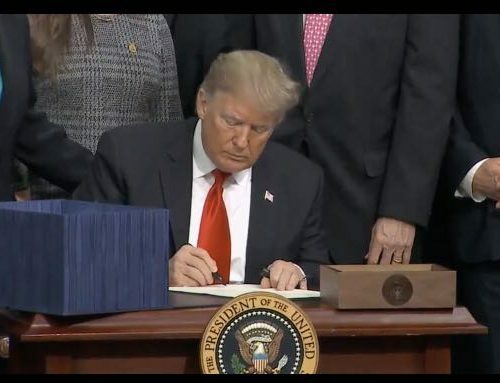 On top of that, WDA has also donated 1 million USD to one of the biggest animal protection organizations – The Humane Society of the United States (HSUS). 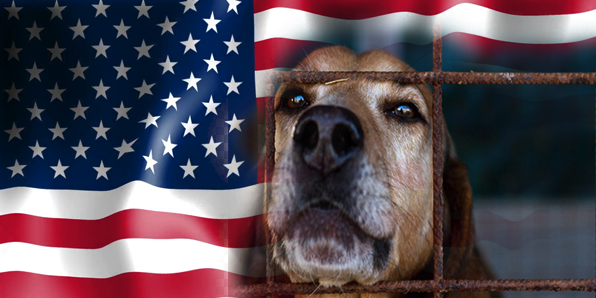 With that money, HSUS has lobbied against the dog meat trade. WDA has also produced the documentary “Eating Happiness”, capturing the horrors behind the dog meat trade in Asia and the infamous Yulin Festival in China. During the time of filming, which lasted for several years, Genlin has, allegedly, risked a lot of time, money and effort, even his life. He visited many corners of Asia that have a history of dognapping and catching feral dogs for food or for sale. He hopes that his film could raise awareness and educate the public of the reality of this practice. Miracles are Possible through Persistence and Hard Work. When Genlin first founded his organization, the WDA, he would never have imagined he could achieve so much within such a short span of time. He has convinced many countries to lobby against the trading of dog meat. 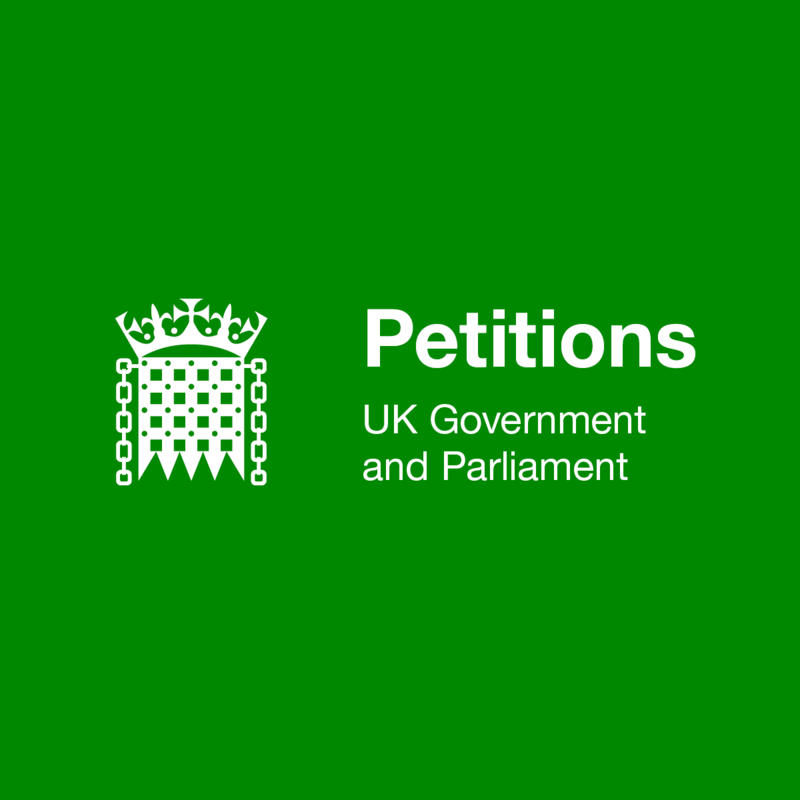 To mention a few: the success of motivating the British Parliament to formally discuss the prevailing dog meat eating practice in South Korea by gathering 100,000 signatures online; encouraged Italy to amend the prosecution of dognapping from a civil dispute to a criminal one; prompted the American Congress to enact anti-dog meat eating laws. Most of all, WDA successfully motivated Taiwan to formally criminalize against the dog meat trade. 1- Plan a world tour 926 art exhibition. 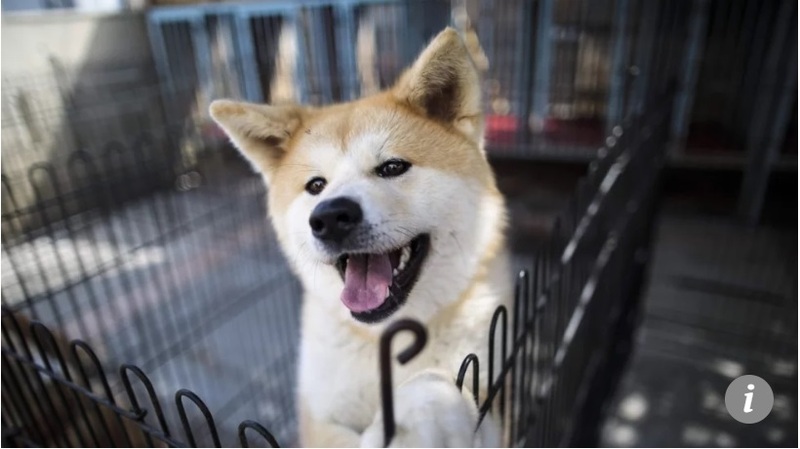 2- To lobby for laws against dog meat trade in various provinces of Mainland China. 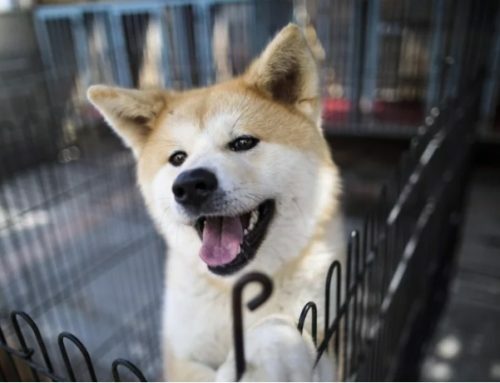 3- To further push the South Korean Government to prohibit dog meat consumption. For this year’s “926 Dog Lovers’ Day”, Congresswoman Wang Yu Min from Taiwan was invited to be the opening ceremony guest of honor. Genlin specially commended her efforts in being a prime motivator for actualizing laws against the dog meat trade in Taiwan. Another crucial element for this monumental success also owes to the fact that the number of people who consume dog meat is already dwindling and scarce. This is an unprecedented event among all Asian countries. 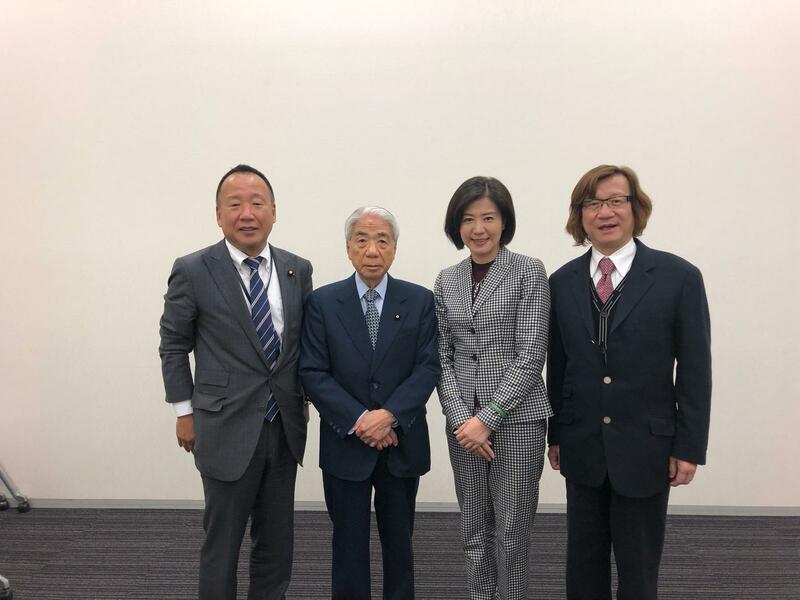 Taiwan is the first to create a legal precedence towards this cause in Asia and marks an exemplary moral and cultural standard for the rest of Asia. Throughout Genlin’s campaign against the dog meat trade, he has discovered statistics that are greatly disturbing and intolerable to him, and to most of the public. Out of the 30,000,000 dogs that are slaughtered for food annually in Asia, 70% of the dogs are either dognapped or sold by their owners to merchants of the trade. Genlin responded, “Dogs and humans have their minds and souls connected. Humanity has come a long way, from mere savages to full-blown civilised beings. 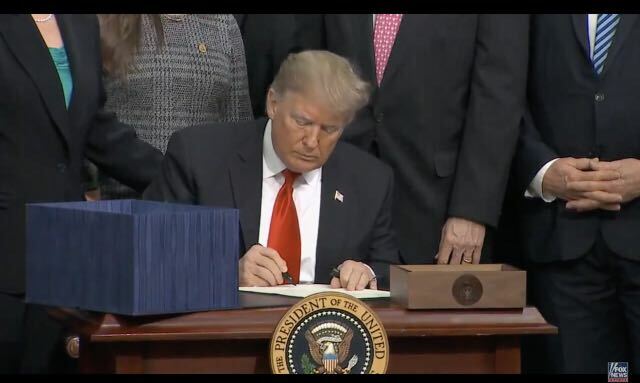 Yet sad to say, we still fail to cease this ongoing act of barbarism.” In light of this, WDA aims to cooperate with other animal protection organizations across the world to work hand in hand to fight against these cruel practices towards dogs. During the opening ceremony, Genlin and Wang Yu Min, rang a total of three times the ceremonious bell. Each ring resonates a profound and deep significance. The first ringing of the bell is a thanksgiving for the fact that dogs have always been a loyal companion to humanity over 3,000 years. The second bell is to pray that humans can acknowledge dogs’ unconditional love for us. Lastly, the third bell represents the hope that Asian countries can legislate to abolish dog meat consumption. 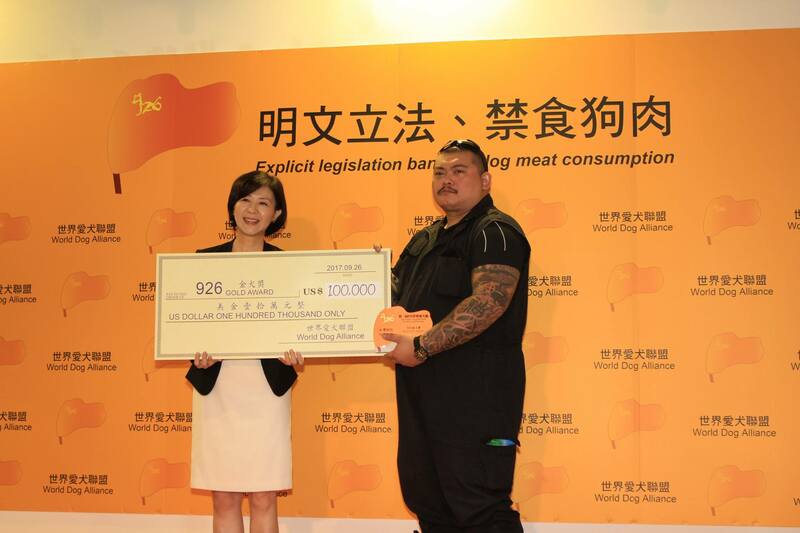 This year, the Golden Dog Award and a cash fund of HKD 100,000 (around USD 13,000), is granted to the Taiwanese organization, “Not Only Environment Action Team” (NOE), founded by a group of “burly tattooed men” for their dedication and commitment to saving dogs that were maltreated. After the success of legislation banning dog meat in Taiwan on 11 April 2017, WDA has also subsidized NOE to form a team of 30 people. The prime purpose of which is to patrol the whole of Taiwan to inspect the reminiscence of the black market dog meat trade. Another objective of the team is to encourage locals to report any suspicious activities to help facilitate the police department in enforcing the new law banning dog meat consumption.